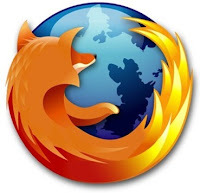 Here at the Official BioGPS Development Labs, we use Mozilla Firefox for a large chunk of our day-to-day work. Combined with extensions like Firebug, it’s a critical part of our toolkit. We’re pretty heavy users of it daily, even with other browsers tempting us with their own bells and whistles. As I write this, I’ve got 47 Firefox tabs open, spread across 6 windows. With so much love for this mature browser though, there’s always bound to be a problem somewhere or another. About the highest priority thing that can happen in the office is when we get a bug report from a user. We go to great lengths to keep BioGPS running smoothly, but like our beloved Firefox, bugs do occasionally creep in. When one of our users reported BioGPS hanging Firefox 3.5.3, we jumped on it. We were able to reproduce the problem on only half of our developers’ machines, but the further we dug, the less it made sense. Then today, the affected machines one by one fixed themselves, including for the user who reported it! We’re still scratching our heads over this, but with no more affected machines, there’s not much we can do. We’re 99.9% confident this is a bug in Firefox 3.5.3, not BioGPS, but if you run into this same issue, do let us know on the BioGPS Google Group so we can take another crack at it.